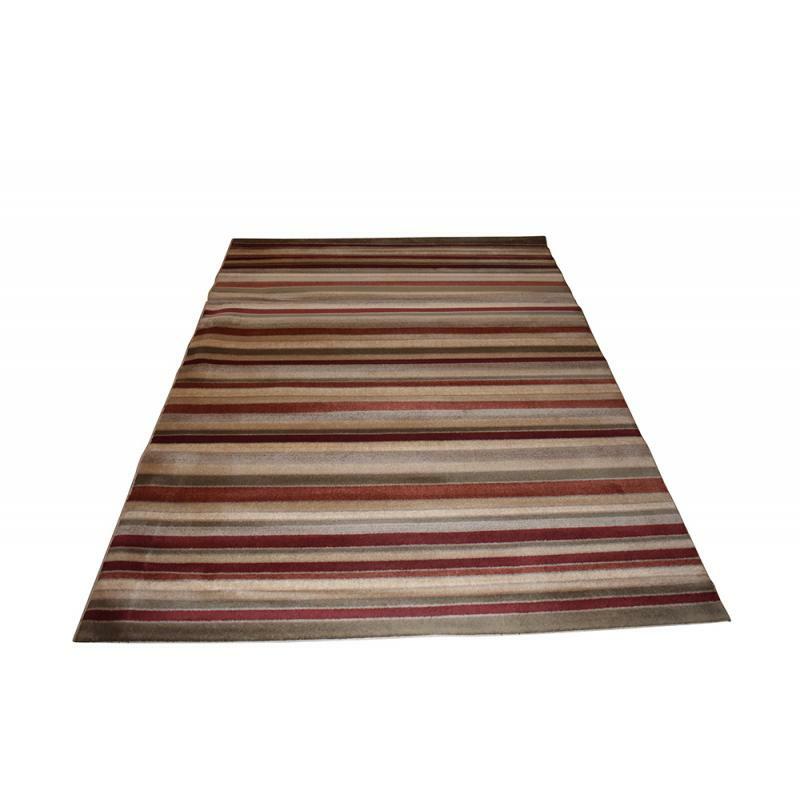 Improve the look of any room in an instant by placing this Modern rug, machine made by top quality wool in red, orange, cream and green colors. 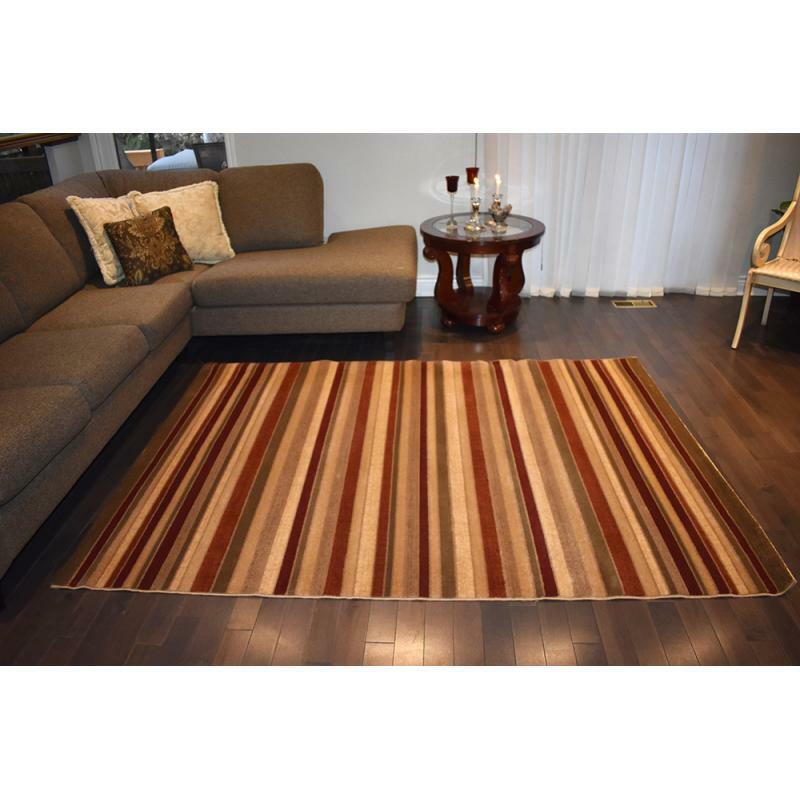 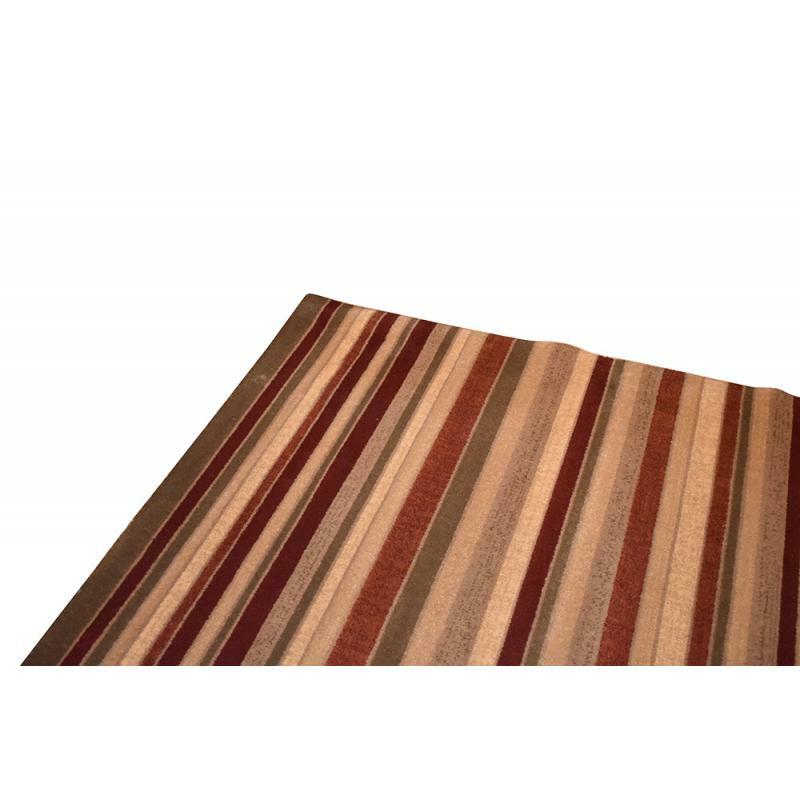 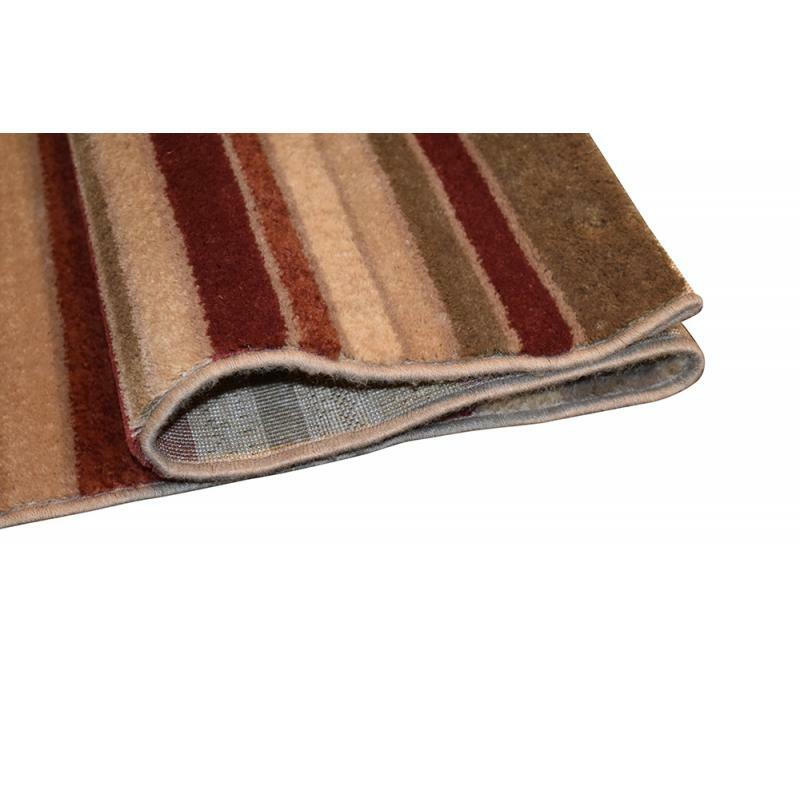 The wool has enhanced the natural variation in colors of this stripes design rug. Measuring 5’ x 8’ ft., this superior quality rug will definitely give a cool and stylish touch to your home. 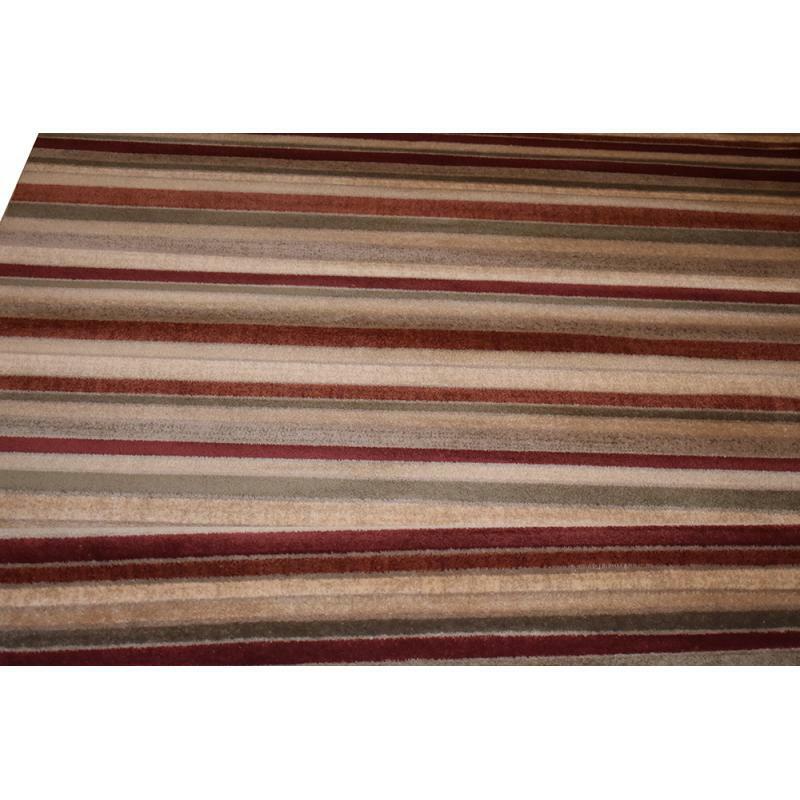 It's a must have for your bedroom, living room or even your kids room.